704Games, NASCAR’s exclusive esports partner for simulation-style video games on console platforms, unveiled NASCAR Heat Champions: Road to Miami, a weekly esports competition featuring the upcoming video game NASCAR Heat 3. The series will span this year’s 2018 NASCAR Playoffs, and culminate at Homestead-Miami Speedway during Ford Championship Weekend with over $500,000 in potential prize money up for grabs. Players can compete online in NASCAR Heat 3 starting Sept. 10, qualifying by posting their fastest total race times to qualify for the final tournament in Miami. Weekly tournaments will alternate between the Xbox One and PlayStation 4 computer entertainment system. Three additional finalists will race their way in at Homestead-Miami Speedway at Esports Arena Drive, the mobile esports arena. 704Games will fly weekly finalists and a guest to Miami for Ford Championship Weekend at Homestead-Miami Speedway. 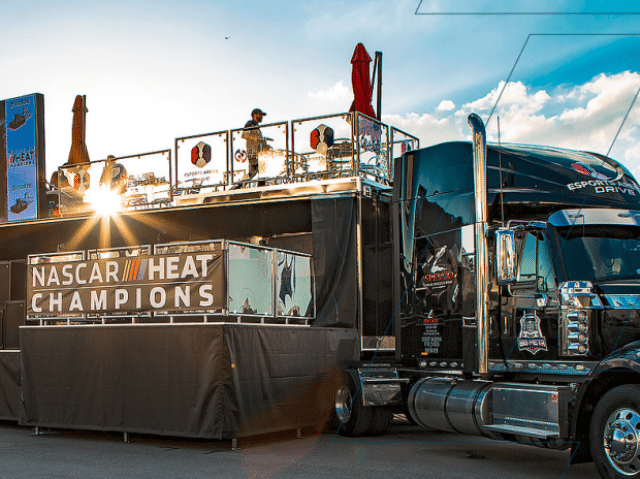 The NASCAR Heat Champions: Road to Miami esports finale will take place Sunday, Nov. 18, and award $10,000 in prize money, Audeze Mobius gaming headsets, and an exclusive race weekend package from Homestead-Miami Speedway. In addition, if the winner of NASCAR Heat Champions: Road to Miami correctly predicts the official total race time of the Monster Energy NASCAR Cup Series Ford EcoBoost 400 within five seconds, they will win an additional $500,000. In 2019, 704Games will look to expand NASCAR Heat Champions as a mainstay of the sport. The game hits stories on Sept. 7.